My nine-year-old boy texted me to buy 1/8 illustration board and a box of modeling clay (of any color). He plans to do his science project all by himself on a weekend — a cardiac muscle made of clay. I provided him with his needs and let him do his project for I myself do not have any idea on how to do it. 1. 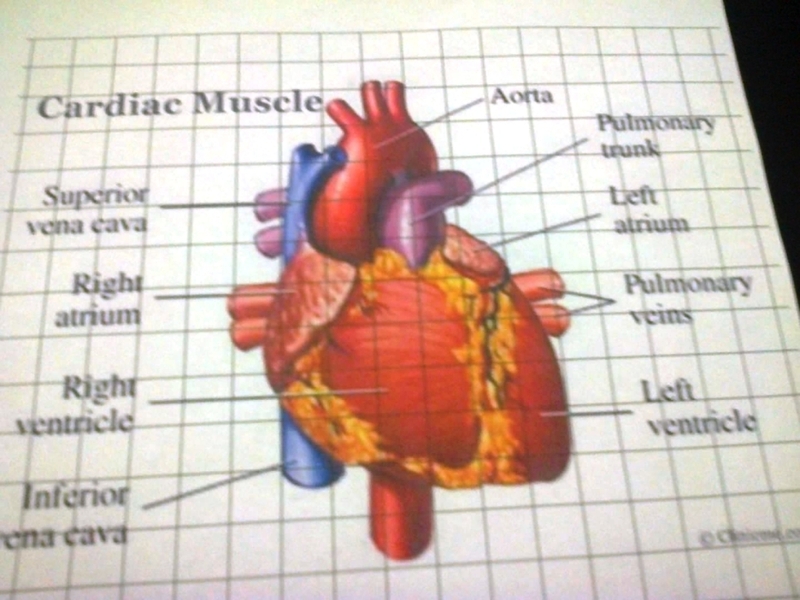 Second son googled a cardiac muscle image. 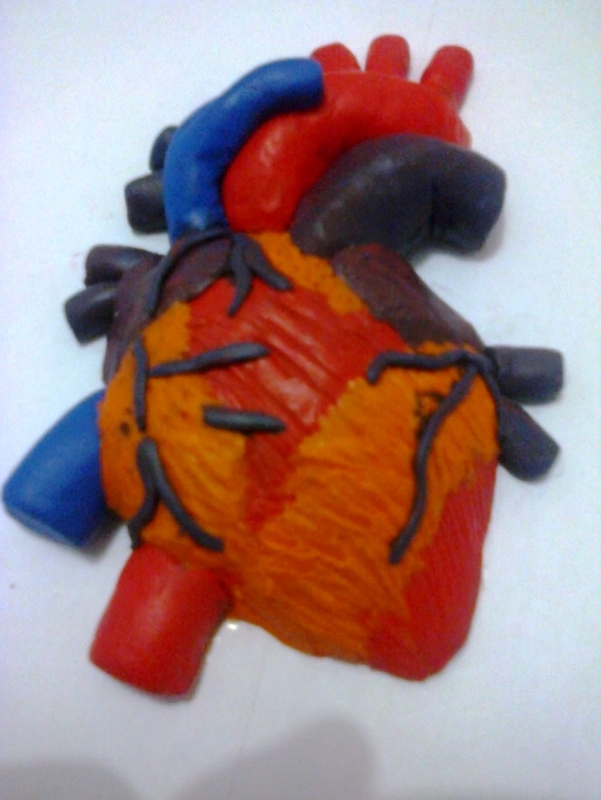 He told me he wants to make his cardiac model as accurate as the real one. 2. I checked on him and saw him rolling together a few clay with his hands. I saw a number of tube-line structures and worm-like formations. 3. He smashed some of his molded clay together until they stick. 4. He asked me if he could use the oven. I gently placed his modeling clay on the cookie plate and into the oven until it became hard. 5. I asked him to buy a bottle of rugby to bond the clay and illustration board together. 6. We covered his project with a plastic cover to protect it from just anything. * August 7, 2013. A collection of my boys’ school projects which this momi compiled and shared in order to help other students with their research. It has always been this momi’s intention to offer help the best way she can. Wow this looks great. What an interesting school project. I love the result. It’s a great project. Lots to learn from it. And and a very nice result. Hi Momi Berlin, the artwork turned out well. Good Job to you and the kids 🙂 This would be interesting to do with the kids this weekend. Good thing we have molding clay and glitters here lol. I saw a previous comment on top on how you are not monetizing your blog. Spam comment from bots. Anyway, … WOW! Your son did all that thing by himself??? (Excluding the oven thingy, of course). Amazing. Earlier before seeing the final product of the picture, I could not have imagined that this could be done and your son did it really well. Yes, all by himself. He can be real artistic and creative if he wants too. Will check that comment, thanks. Your son is creative and independent. Good that he can enjoy this kind of school project as some kids today tend to be lazy in fulfilling it by themselves. I am excited to see the other school projects of your kids. Sure these are simple remembrance for them and for you. Ang galing naman! Nakakatuwa kapag creative ang mga bata. May mga project talaga na minsan you have to allow them to unleash their creativity and very good sya dun! Good job din mommy! Wow! Your son’s amazing and very talented! My son doesnt want clay, he thinks it’s gross because of the texture. Anyway, he’s just 2. Haha! I hope my kids can be creative as your son, too! Nice project ah! wow you guys nailed this one! It was wonderfully crafted and your kiddo did a great job here! Gosh, i miss my schooling days and those times that we have to make such science project too!